I often extol the virtues of being able to photograph wildlife subjects at eye level. 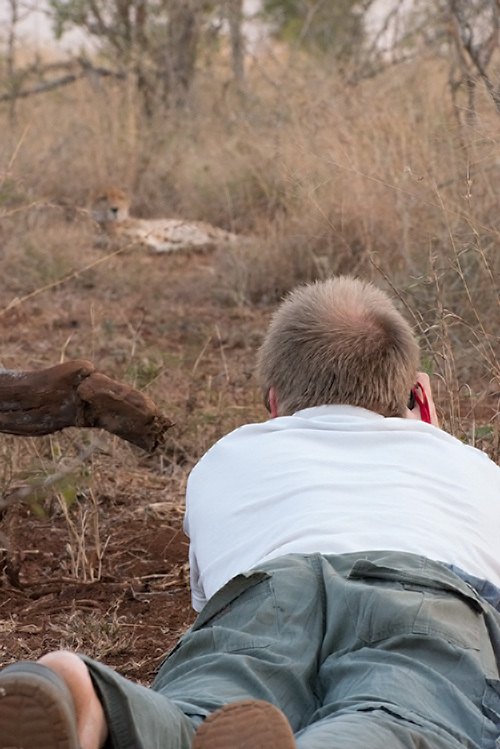 Through careful vehicle positioning, reading the lay of the land and predicting the positioning of the animal relative to that can go a long way to achieving that high-impact eye-level image. Good use of telephoto lenses and their compression factor can also aid you here (parking a bit further so the relative perspective to your subject appears lower). The use of special underground bunkers are also a recent development that have ensured that photographers are able to get close to their subjects and shoot from a ground-level perspective. The most special and electrifying way to do this, though, in my humble opinion, is to be on foot with the animals. There are a couple of places that allow you to be out and about, and with the right guide present you can have a magnificent wildlife experience (regardless of the photos you bring home). You've seen me post photos from Mana Pools in Zimbabwe, where walking safaris is a big drawing card...but there's a reserve that recently opened up in South Africa that boasts painted dogs and cheetahs that are quite habituated to humans on foot, and they are still fully wild and hunt for themselves. This place is called Zimanga Private Game Reserve, and the owner, Charl Senekal, has gone to great lengths over a long period of time to habituate his wild born free ranging predators to human movement and presence. 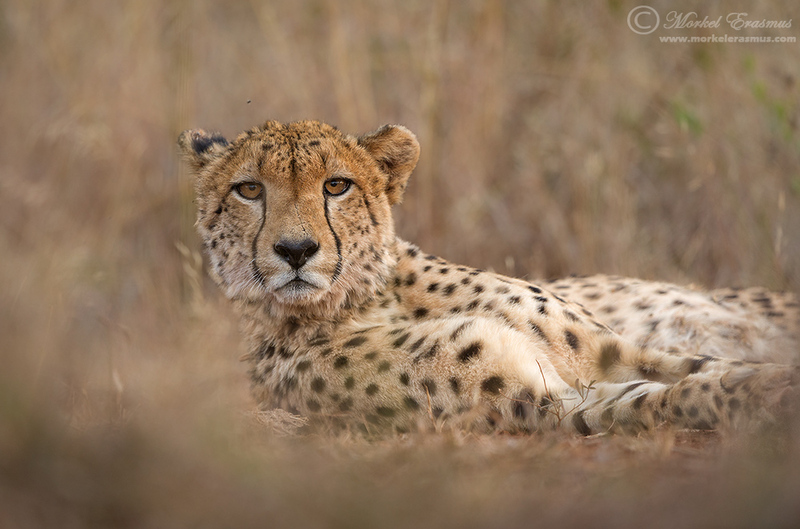 I captured this photo of one of the male cheetahs of Zimanga late one afternoon earlier this year. I was lying flat on my belly in the bush, a mere 15 meters from him. He was totally relaxed - until an elephant bull stumbled upon us, smelled him, and chased him up (as Charl and I made a careful retreat back to the vehicle, haha). These experiences always mean so much more to me than the actual photos. Those of you who are attending the PHOTO & FILM EXPO at the Dome in Northgate, Johannesburg this coming weekend, be sure to check out my talk at 16h00 on Friday afternoon (31 October 2014) where I will discuss the concept of context and creativity in wildlife photography. Come say hello!